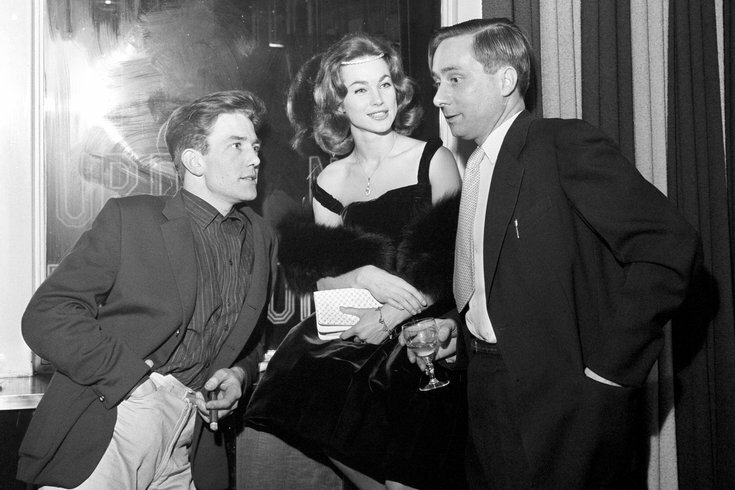 File photo dated 10/26/60 of Albert Finney (left) with co-star Shirley Anne Field and author Alan Sillitoe (right) pictured in a London pub when attending a pre-premier party of 'Saturday Night and Sunday Morning'. Actor Albert Finney has died at the age of 82 after a short illness. Nominated for five Academy Awards, legendary British actor Albert Finney has passed away after enduring a short illness at the age of 82. A statement was released earlier this morning, "Albert Finney, aged 82, passed away peacefully after a short illness with those closest to him by his side. The family request privacy at this sad time." He passed away at Royal Marsden Hospital in London, Thursday afternoon from a chest infection. His wife and son were with him when he passed. He won a Golden Globe in 2002 for his performance as Winston Churchill in HBO's "The Gathering Storm." He also starred in the 1974 film “Murder on the Orient Express,” as Daddy Warbucks in the 1982 feature film, “Annie,” and as Kincade, the games keeper in James Bond's estate, in the film "Skyfall." He was a beloved stage performer as well for Shakespeare, Chekov and many other notable playwrights. Many people in the film and theater community reacted to his passing earlier today, including his former co-star Bernadette Peters.